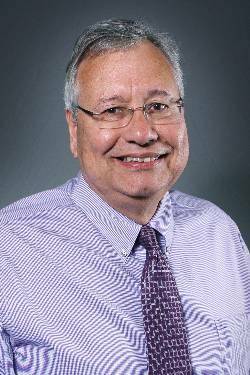 Dr. Arthur E. Hernández has broad and diverse training in clinical psychology, educational psychology and curriculum and instruction and has taught in courses at a variety of levels in Psychological and Educational disciplines. He is a nationally certified school psychologist, nationally certified counselor, a Diplomate of the American Board of Psychological Specialties and is a licensed Psychologist, and Licensed Specialist in School Psychology in Texas. He served as a member and also Chair of the Texas Board of Examiners of Psychologists and served as a member of the Texas Diabetes Council. He has been an evaluator or evaluator consultant on projects of local, state and national scope. Over the course of his career, his writing and research has focused on measurement and evaluation, psycho-educational interventions and performance effectiveness. His most current research focuses on the theory and practice of program evaluation including psycho-social metrics across a variety of educational, industrial and social service settings. His research and scholarly contributions may be found in Action in Teacher Education, Aging Clinical and Experimental Research, American Journal of Health Promotion, American Journal of Public Health, Archives of Pediatric and Adolescent Medicine, Children at Risk: Poverty, Minority Status, and Other Issues in Educational Equity, College Student Journal, Contemporary Education, Diabetes, Diabetes Care, Hispanic Journal of Behavioral Sciences, International Journal of Obesity, Journal of Addiction and Offender Counseling, Journal of Excellence in College Teaching, Journal of Psychoeducational Assessment, Journal of Research in Early Childhood Education, Journal of School Health, Journal of the American Geriatrics Society, Journal of the American Medical Directors Association, New England Journal of Medicine, The Handbook of Special Education, and Traumatology among other places. In addition, he is a co-author of an elementary Social Studies series published by Houghton Mifflin Company called We the People and is a past co-editor of Forum the journal of the Texas Teacher Educators and currently co-editor of Research and Practice in the Schools, a publication of the Texas Association of School Psychologists. Dr. Hernández has been Principal Investigator, Co-Investigator or Consultant on numerous research and teaching grants including funding from the National Institute of Diabetes and Digestive and Kidney Diseases, National Institute of Dental Health, U.S. Department of Health and Human Services, U.S. Department of Education and the Agency for Healthcare Research and Quality. Dr. Hernández has chaired and/or participated on Texas School Improvement Initiative (TSII) teams, Educator Preparation Improvement Initiative (EPII) teams and served as an Educator Preparation Entity Reviewer Texas and related initiatives in Rhode Island, Oklahoma and California and among other areas of inquiry, remains committed to studying and supporting effective educator preparation and practice. Development and application of measurement for evaluation of programs in education, philanthropy and public health, and the theory and practice of evaluation.